Bowman, George, Scheb, Kimbrough, Koach & Chapman, P.A. 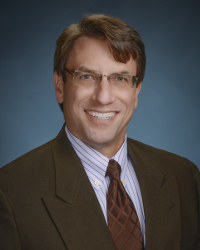 - Attorneys at Law | Kenneth D. Chapman, Jr.
Kenneth D. Chapman, Jr. was born and raised in Sarasota, Florida, and he is a third-generation attorney. He received his Bachelors degree in Finance from Florida State University, his Juris Doctorate degree from Cumberland School of Law and has been a licensed Florida attorney since 1990. Mr. Chapman’s experience includes in-house corporate counsel roles as General Counsel with TeamStaff, Inc., Corporate Counsel with PharMerica, and in-house legal counsel to Florida Power Corporation and TECO, General Counsel with Cheetah Technologies and Division General Counsel for Acterna. Mr. Chapman concentrates his practice in real estate law which encompasses all aspects of both Commercial and Residential real estate transactions, including purchase and sale agreements, title insurance services, Commercial and Residential leases and Landlord-Tenant matters. Mr. Chapman also practices Corporate/business law including general contracts law, Corporate Formation, Partnerships, Limited Liability Companies and Joint Ventures, Shareholder Agreements, Business Financing, Franchises/Distributorships/ Business Opportunities, Mergers and Acquisitions, as well as Employment, Management and Consulting Agreements. Mr. Chapman is a member of The Florida Bar’s Business Law and Real Property and Trust Sections. He also participates as a special counselor with SCORE of Manasota, he has volunteered for the Human Society of Sarasota County and he presently serves as a student mentor for the Take Stock In Children Program in Manatee County.